The Communications Authority of Kenya has released Q2 sector statistics report for the financial year 2015/2016 (October-December 2015). In the report, the CA highlights the continued growth of the ICT sector in various facets including mobile telephony, internet coverage, registered domains and courier services. In the report, the CA notes that mobile telephony subscriptions stood at 37.7 Million subscribers registering a decline of about 100,000 subscribers. The authority attributed the decline to SimBox raids conducted during the quarter. This places mobile telephony penetration in the country at 87.7% of the total population. In terms of market share all telcos except Safaricom witnessed gains. During the period, Safaricom’s market share declined by 1.6% from 66.3% in the previous quarter to 64.7%. Airtel Kenya limited’s market shared edged up by 0.1% to 19.2% from 19.1% while Orange’s market share grew by 0.6% from 11.8% to 12.4% in the last quarter. 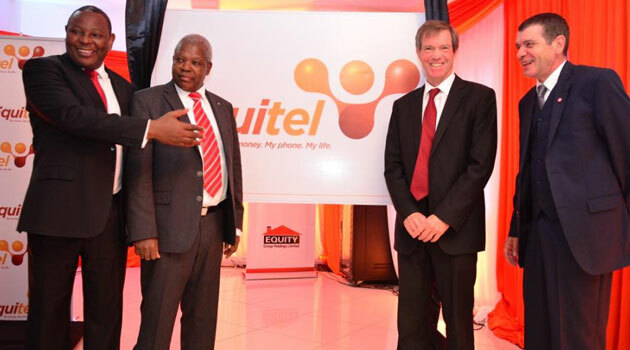 The market share for Equitel grew by 0.8% to 3.7%. In subscriber numbers, Safaricom saw its sub numbers decline by 2.7% to 24.4 Million from 25 Million in the previous quarter. The number of pre-paid customers were down to 3.8% while postpay customers grew by 2.2%. The number of Postpay customers stood at 852,278 while pre-paid customers were 23,556,656 subscribers. Airtel Kenya gained both pre-paid and postpay subscribers to 7.2 Million making gains of 0.3%. The number of prepaid customers stood at 7,088,360 while postpay customers stood at 148,164. Orange saw its total subscribers grow by 4.3% with totals subs at 4.6 Million customers. Prepaid subscribers stood at 4,654,190 subscribers while post pay customers were 9,124 subscribers. Equity’s Equitel witnessed the biggest jump with a 29% growth in subscribers to 1.4 Million from 1,085,000 in the previous quarter. It has never been an issue for me when Saf loses market share but now it has even lost subscribers. Its odd though that the 3Q2015 was great for the company but the 4Q2015 wasn’t. Sim boxes?Could that be the reason? Probably. Were Sim boxes that many to impact a telco to this magnitude? Am asking the same question.